Since April 2016 AutoRD have been engaged in a one-year Innovate UK part-funded project, developing an autonomous motorcycle platform and have already made significant progress. 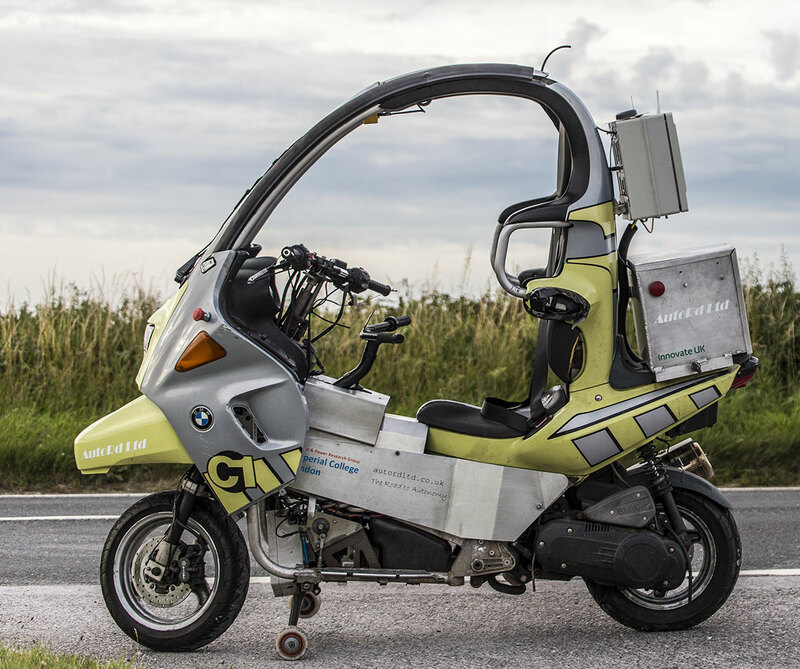 Seeded by investment capital from the directors, we bid for and won funding from the UK Government to develop the technology needed to make a bike go where it’s told – without rider input – and built a prototype, the BMW C1, to demonstrate it. We’ve learned a lot doing this; it has given us the foundations for both riderless taxi and hyper-dynamic bike development, which is what we plan to do next. We are looking for engineers, technical scientists, motorcyclists, and partners. If you have the skills and would like to help with this autonomous motorcycle project, in any way, please contact us on ++4 (0)7730 090997. We want to talk to you. Follow AutoRD on Social Media And Be Part Of This Incredible Journey – We Invite You To Join Our Community.